Let our consultants look at your current bathroom and offer you the right solutions for bathroom safety. 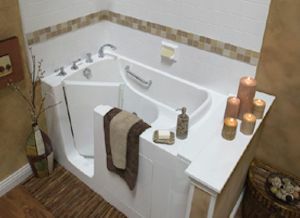 We’d love to show you how a walk in tub and other assistive amenities can enhance your overall design. We pride ourselves on designing safe environments with beauty and ease for our Northwest Ohio residents and Southeast Michigan families. In addition, we can install a hand-held shower head with temperature water pressure gauge for easier reach and control. 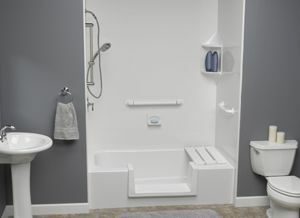 Our walk in tubs is also equipped with faucets and controls that are within an arm's length. The bathroom is one of the more dangerous rooms in a home because its floors and surfaces remain wet. We are your Toledo area one-stop bath refitter company for all your bathroom remodeling needs. 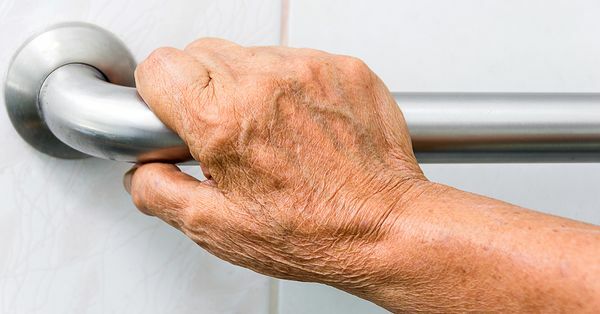 Toledo New Bath & Kitchen believes in providing seniors with a hygienic, comfortable, and safe bathroom. Our bathroom remodel team has over 40 years of experience and knowledge. Accessibility solutions are our speciality which is why you should contact Toledo New Bath & Kitchen today. At Toledo New Bath & Kitchen, we also specialize in vanities, sinks, liners, countertops, medicine cabinets, lighting, fans, flooring, toilets, plumbing fixtures, mirrors, bathroom doors, and more. Contact us for free estimate or consultation.